A group of young Iraqi bloggers and activists have started a campaign on social media using the hash tag #BaghdadIsFine. The campaign was started to counter rumours that the Sunni Muslim extremist group, the Islamic State, was an immediate threat to Baghdad. “Baghdad is fine”. This is how a group of online activists in Baghdad recently countered all the fast moving rumours about how Sunni Muslim extremists from the Islamic State group were closing in on the country’s capital. The phrase gained a hashtag and became a campaign on Arabic-language social media, complete with photos and videos of Baghdadis going about their daily business, unafraid and as normal – despite the rising toll of deadly bombings in the city. There had been rumours that the extremist Islamic State, or IS, group, that had been fighting in nearby parts of Iraq since early June, was approaching Baghdad and that the group was threatening planes at Baghdad airport. But the pictures and video clips – mostly posted on Facebook, which many Iraqis use for their daily news updates – showed people shopping in markets, socializing, going to parks and doing other normal, daily activities. The bloggers involved asked all their supporters to go out into their own neighbourhoods and take photos or make video clips and publish them with the neighbourhood’s name and the hashtag, #BaghdadIsFine. “This will create positive energy and work against false rumours that are circulating,” Qais told NIQASH. 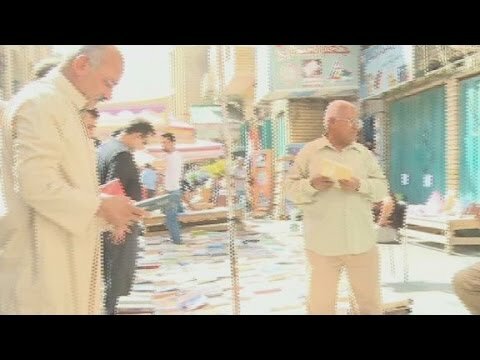 The campaign got a good response from locals in Baghdad as well as from Iraqis living abroad and others started contributing material to the campaign too. Despite the popularity of the campaign though, many wonder what it can really change on the ground in Baghdad. There have been an increased number of car bombings in Baghdad and elsewhere around the country.